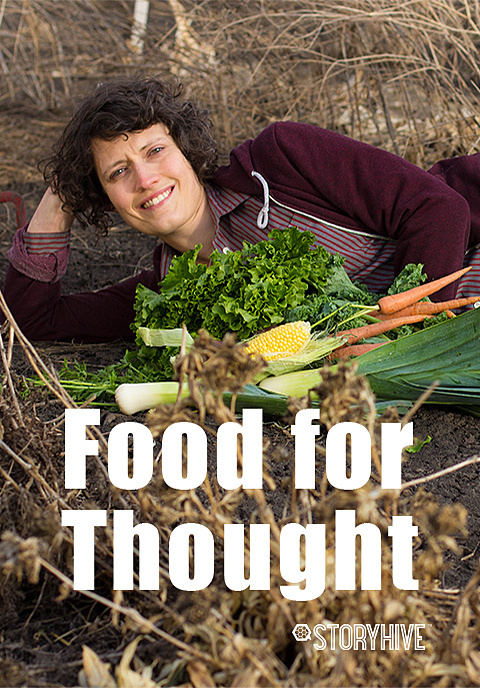 “Food for Thought” features everyday people who are changing the food supply one forkful at a time. 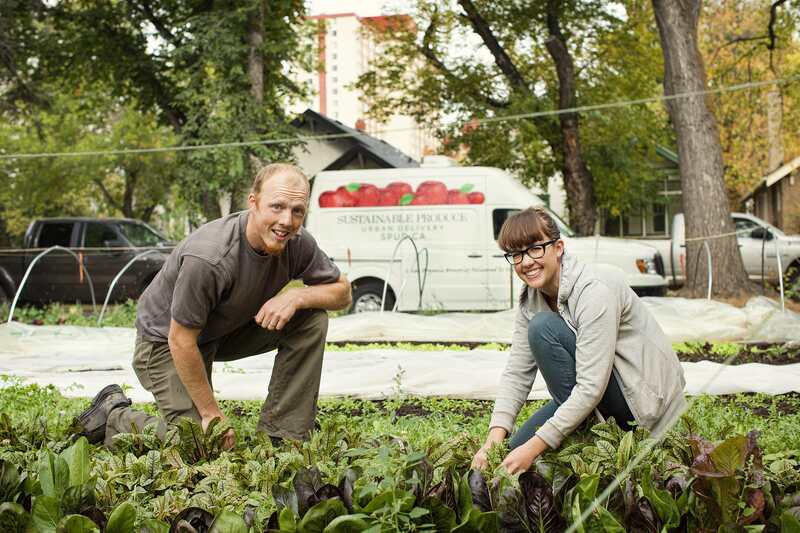 Be inspired by Edmonton’s local food movement to eat locally, eat cleanly, and eat charitably. Join the revolution! 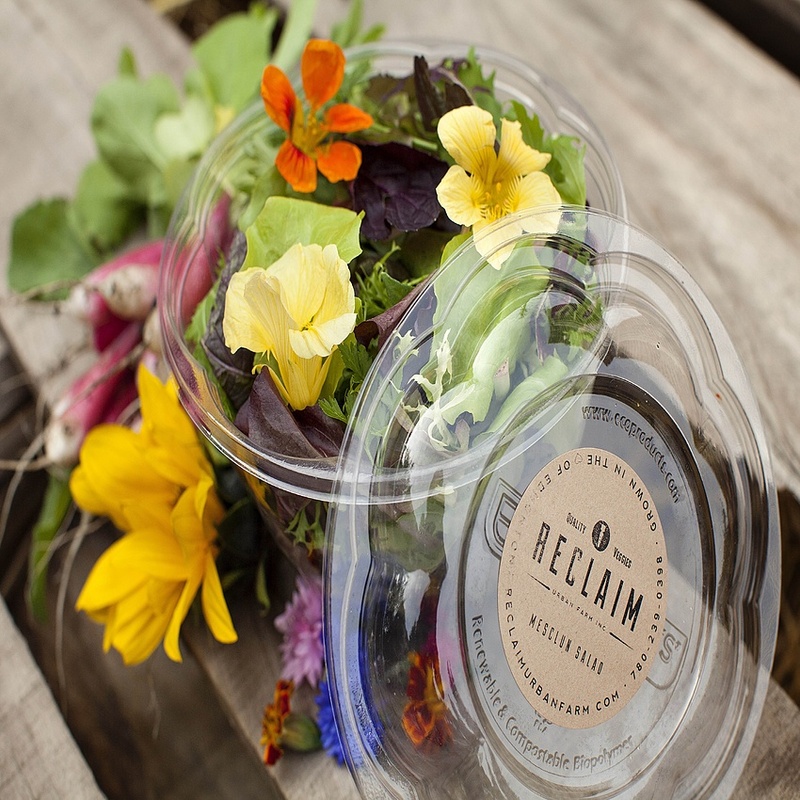 Eat locally, eat cleanly, eat charitably! 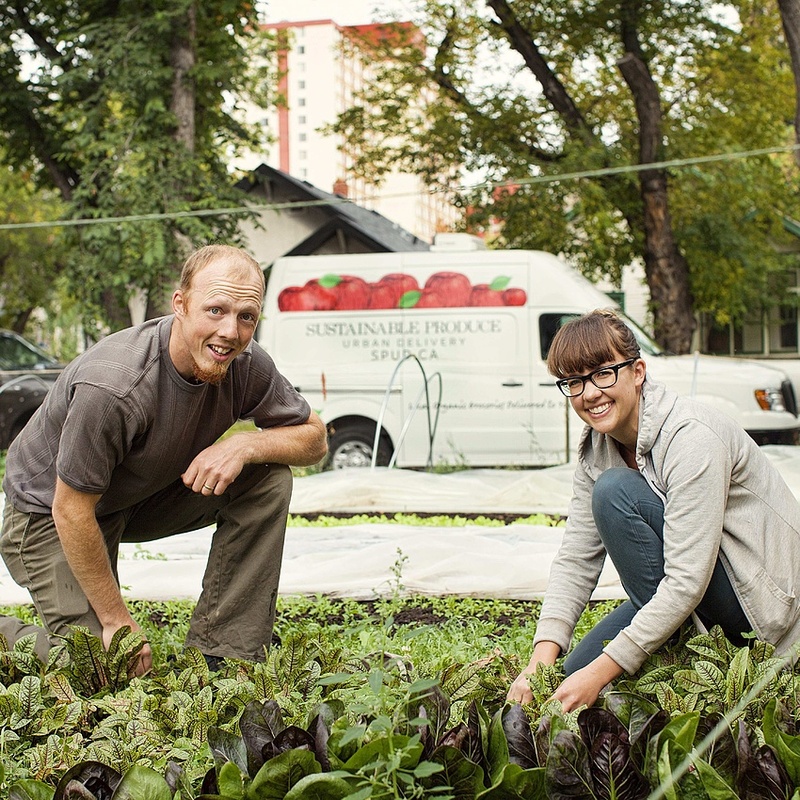 Over the last few years, Albertans have been seeking out every opportunity to find local and clean food. 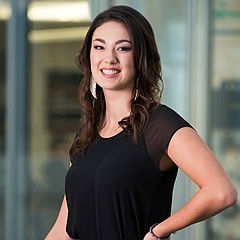 Interest in where our food comes from and how it is produced has inspired Edmontonians to plant community gardens, fruit trees, urban farms, balcony planters and so much more. 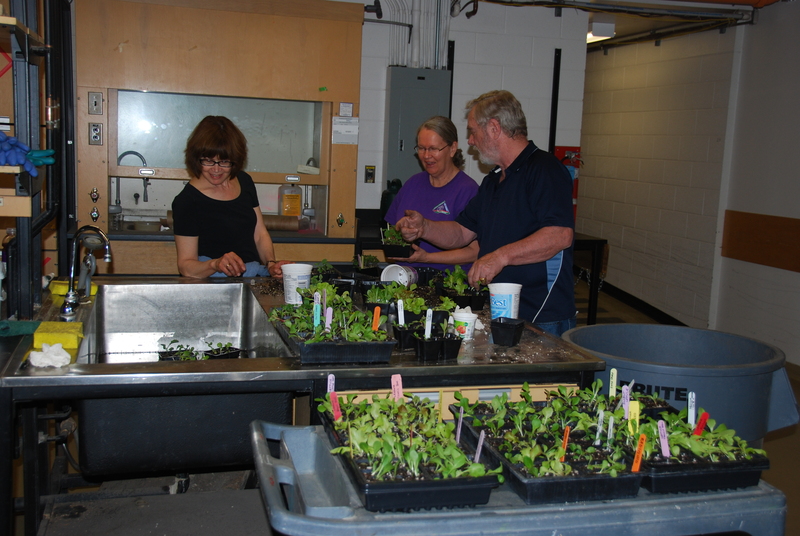 Educational seminars on canning, soil stewardship and children's green-thumb classes have sprung up all over the city. 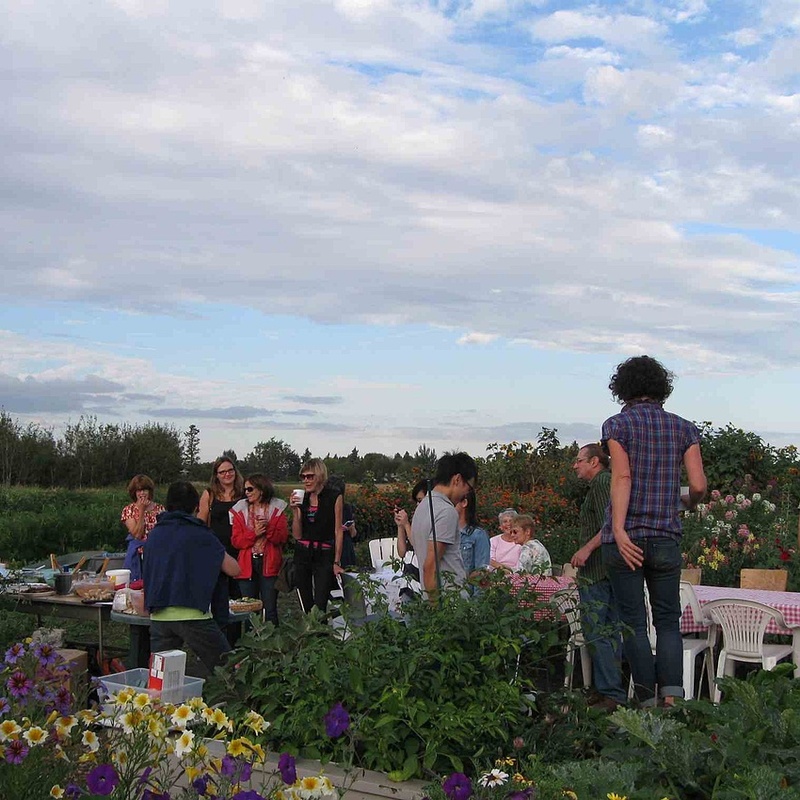 And in true Edmonton fashion a prominent element of the local food movement includes community building and charity. 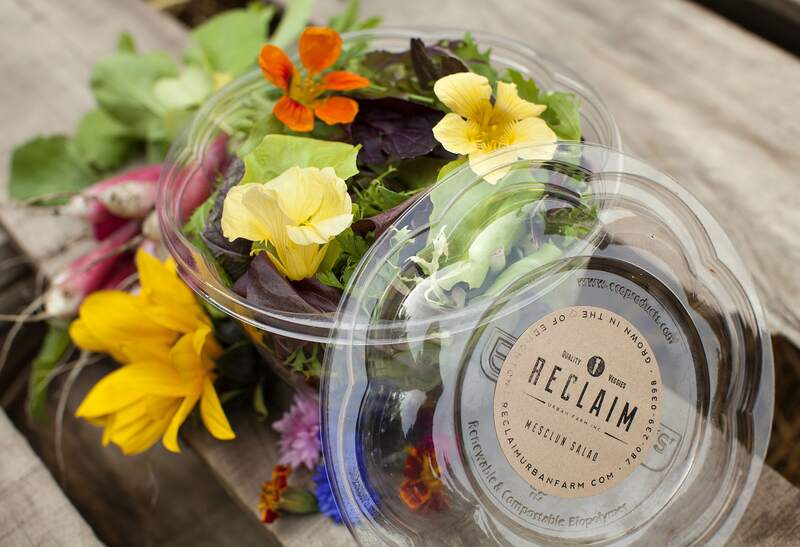 Be inspired by this local food revolution! 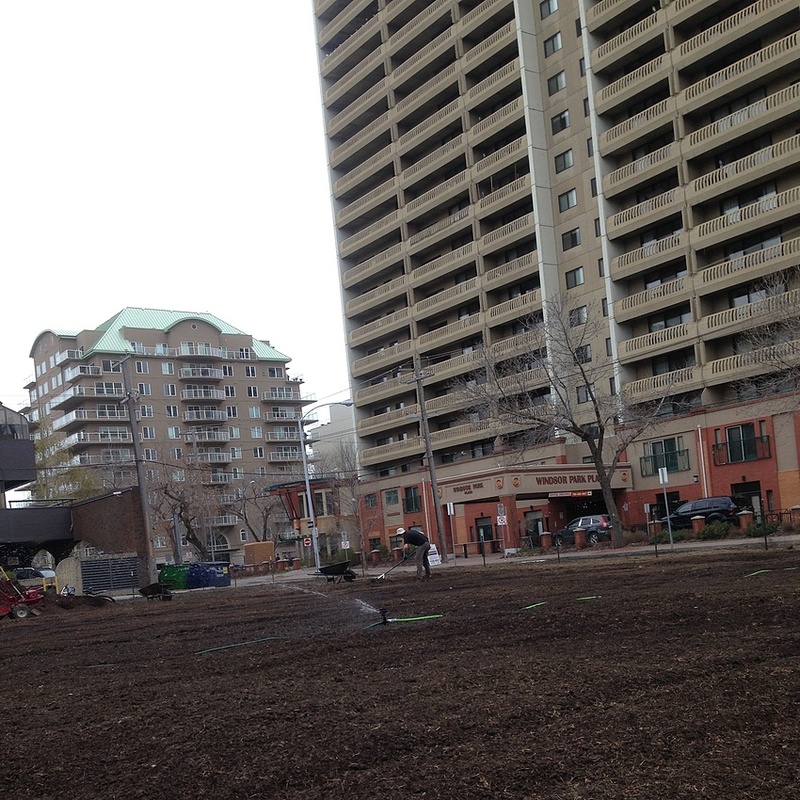 We'll start our journey in the Green & Gold Community Garden. The pilot episode features the acre sized "farm" garden that is completely run by volunteers, doesn't use any chemicals and gives all of the proceeds from sales to charity! 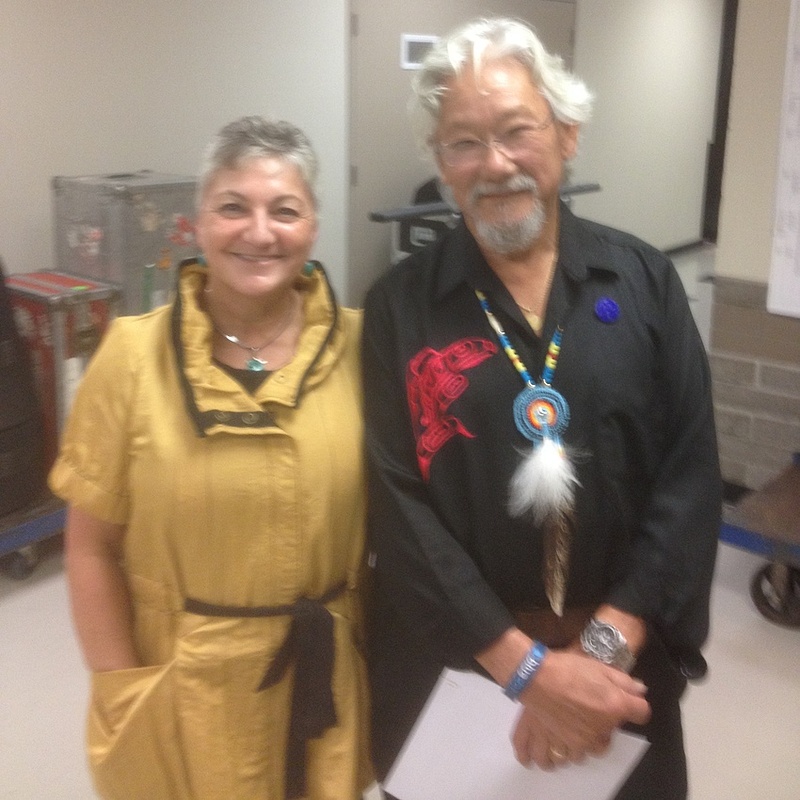 Executive Director, Laura Kemp, meets David Suzuki at the Blue Dot Tour in October. 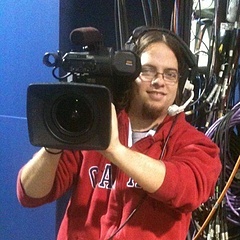 Do you suppose they talked about the earth friendly local food movement in Edmonton? 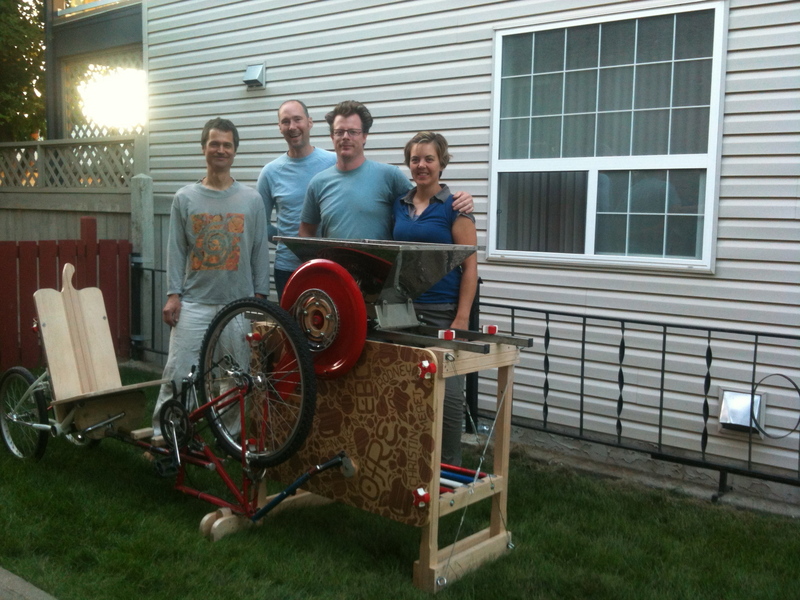 These members of Operation Fruit Rescue helped design and construct the Pedal Powered Apple Crusher...really handy for making cider! 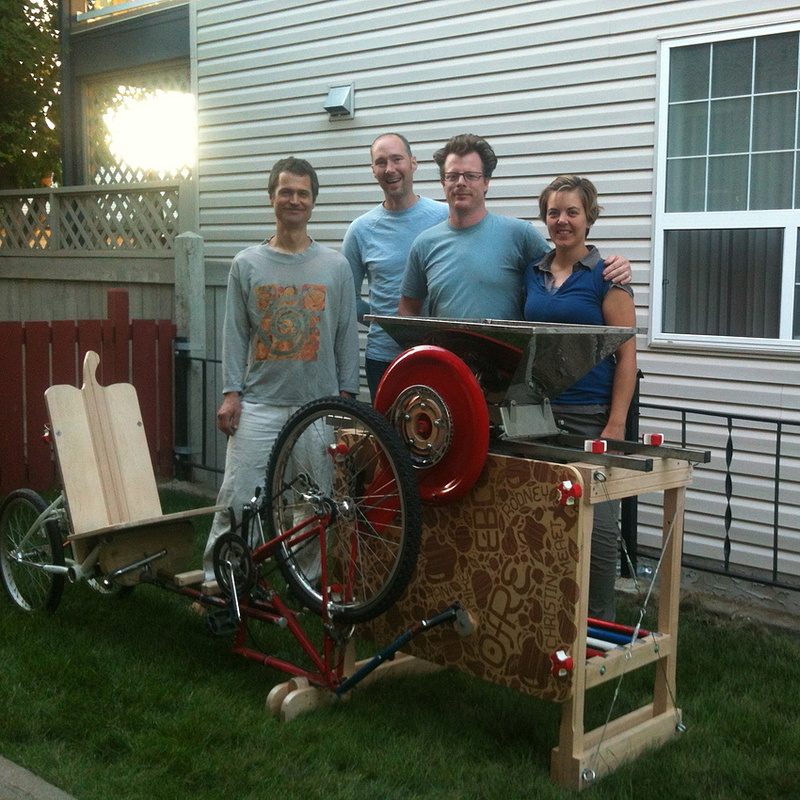 From left to right: Jan, Rodney, Mike, and Amy. 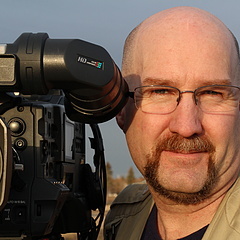 Mike is the current 2014-15 president of OFRE. Jeanne Mwiliriza (pictured on the left) started Tubahumurize - the Rwandan charity that the Green & Gold Community Garden supports. 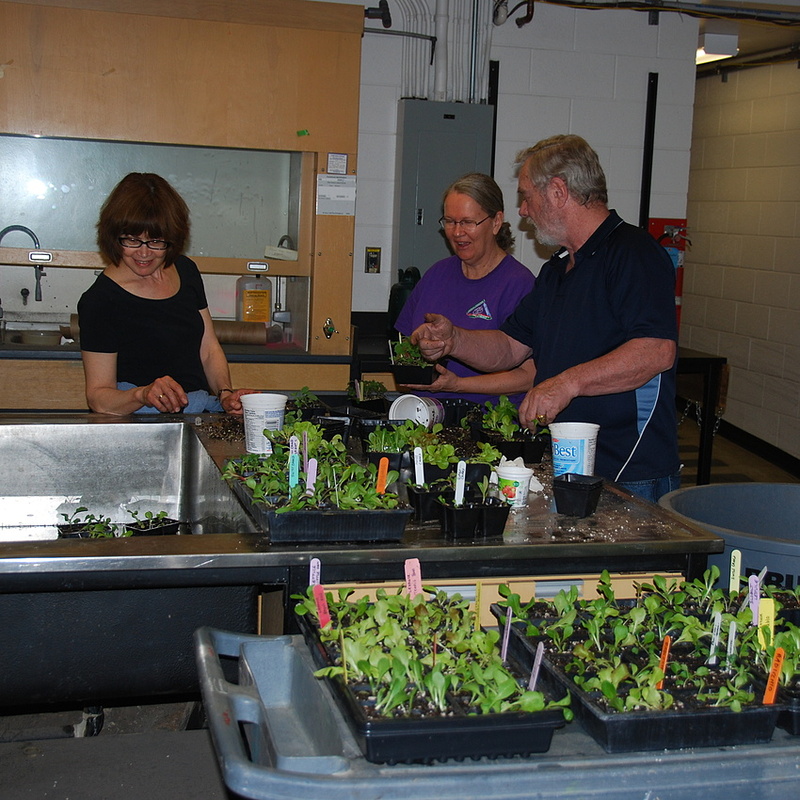 Shirley Ross (pictured in the middle) designs the garden. She knows which plants should go where and why! 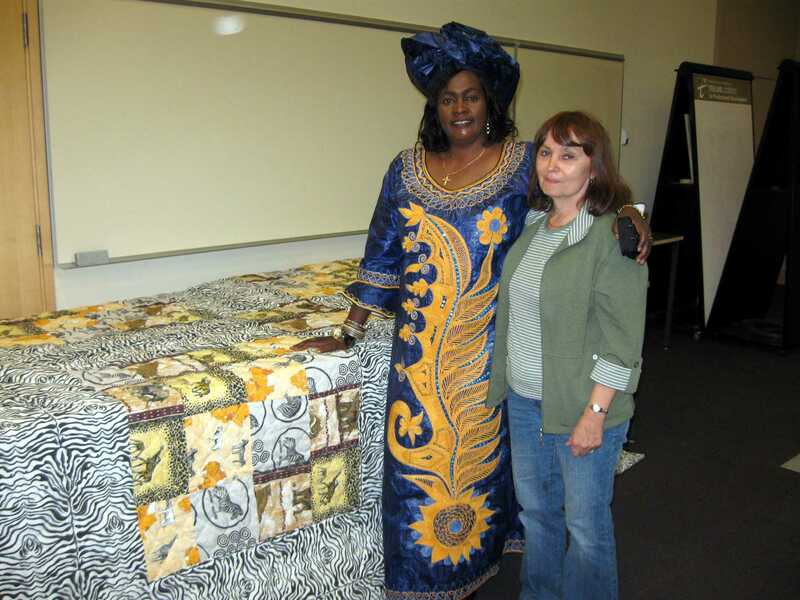 Maureen Metz (pictured on the right - standing) is the garden's volunteer manager. She keeps the volunteers motivated and the garden operations running smoothly. 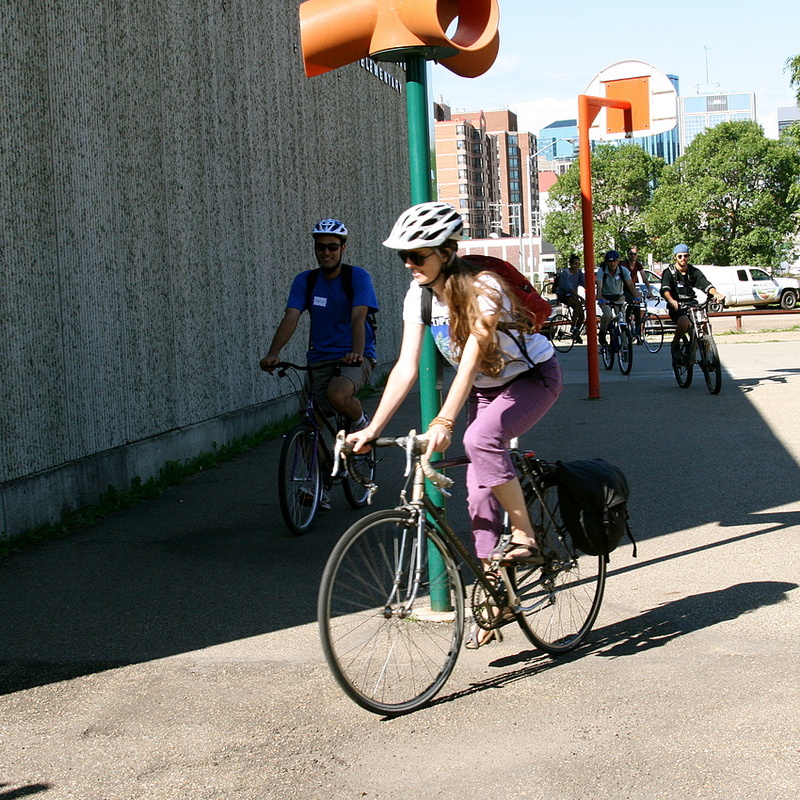 Bike tours to several community gardens give the public a chance to see what their neighbours are doing in the garden, to share tips and pitfalls, and to build community one bike ride at a time! 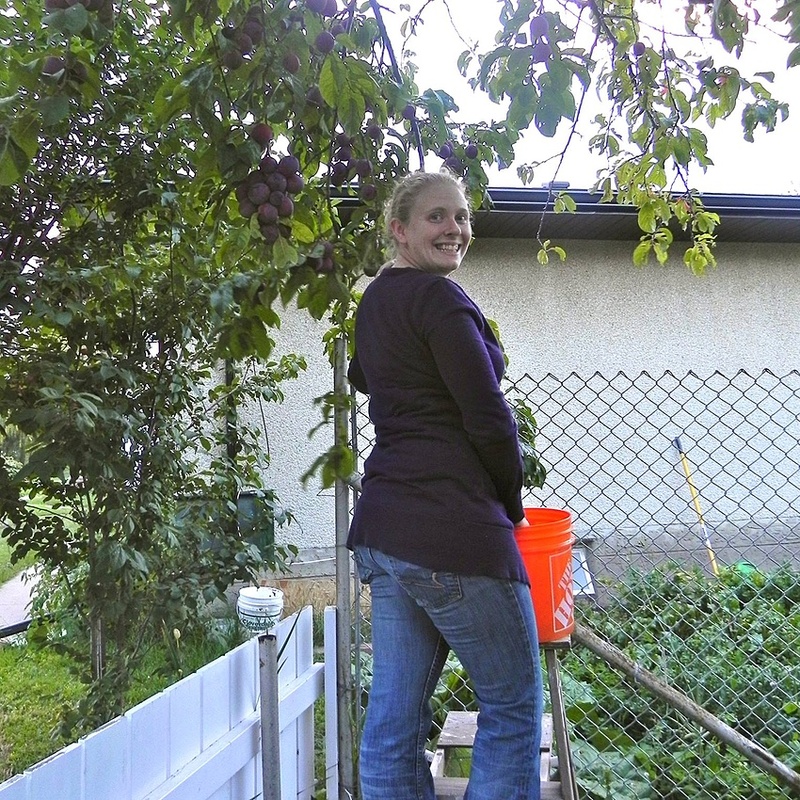 There are over 80 community gardens spread out across Edmonton - each one unique to the needs of the local community. 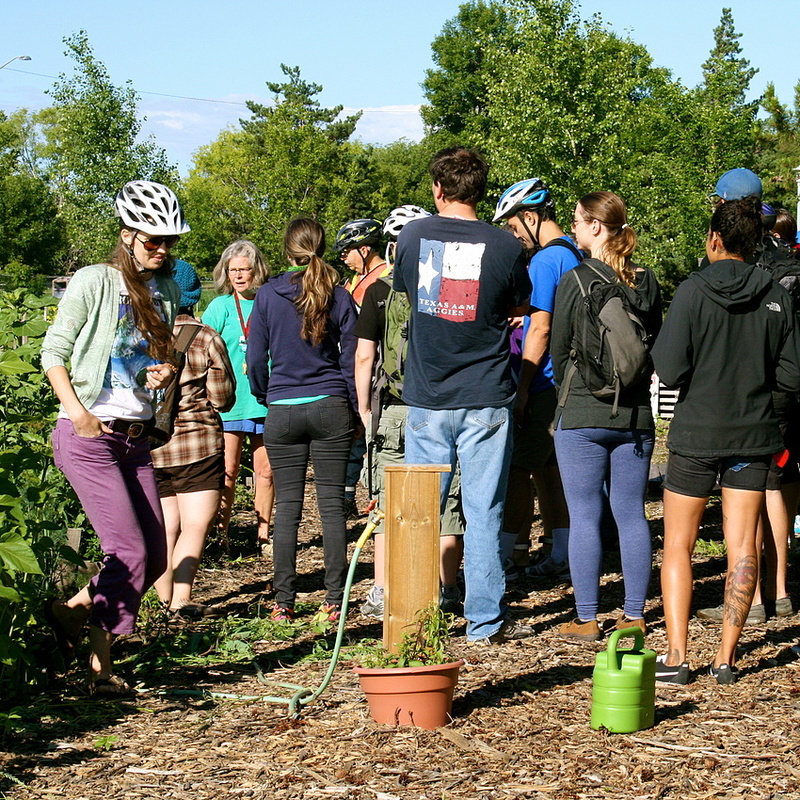 SFE oversees the gardens and initiates programming and projects that connect communities with their food and how it’s produced. 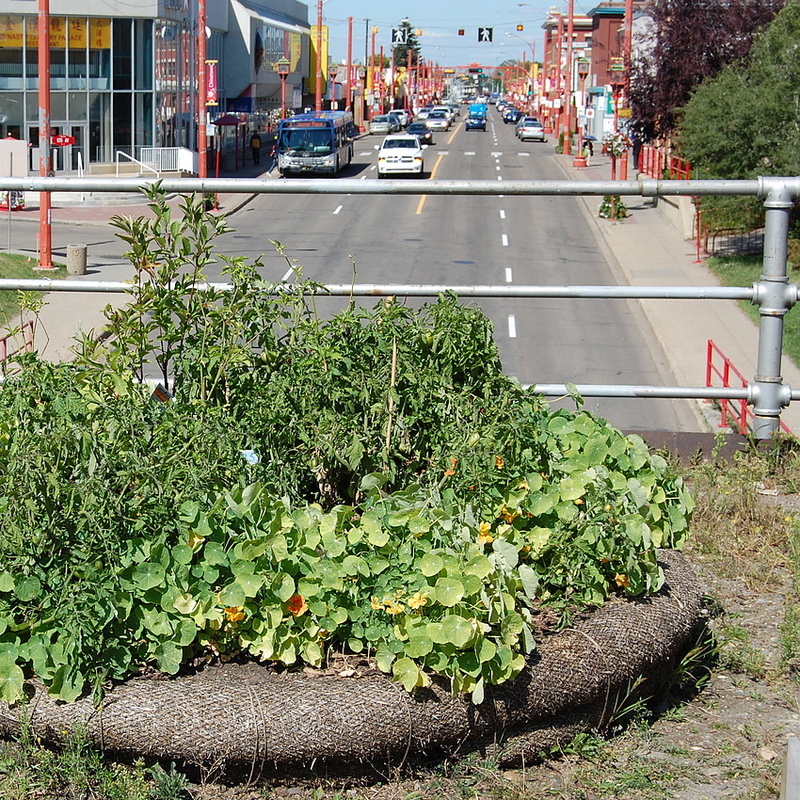 This community garden, the Living Bridge Project, was planted on an abandoned rail overpass in the heart of Edmonton. The 25 circular raised beds have flowers and edible plants such as raspberries, peppers, tomatoes, corn and fruit trees. 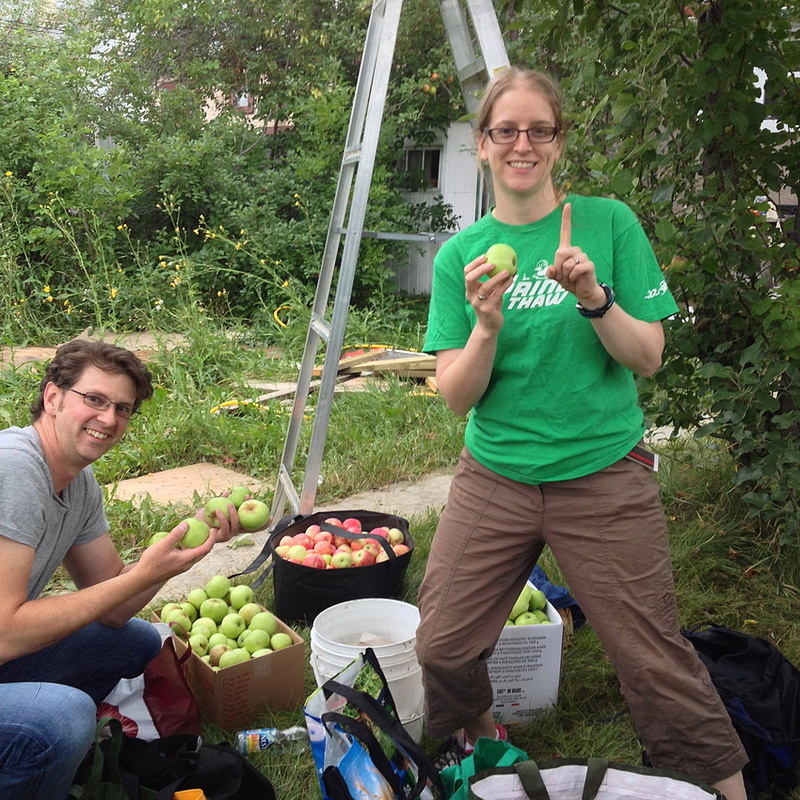 OFRE volunteers at a backyard apple pick in Edmonton. 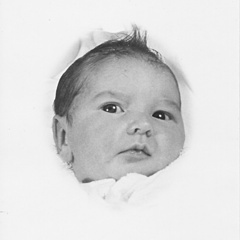 While each pick is unique, generally speaking, the bounty is divided between the home owner, the pickers, charity and Operation Fruit Rescue for processing. 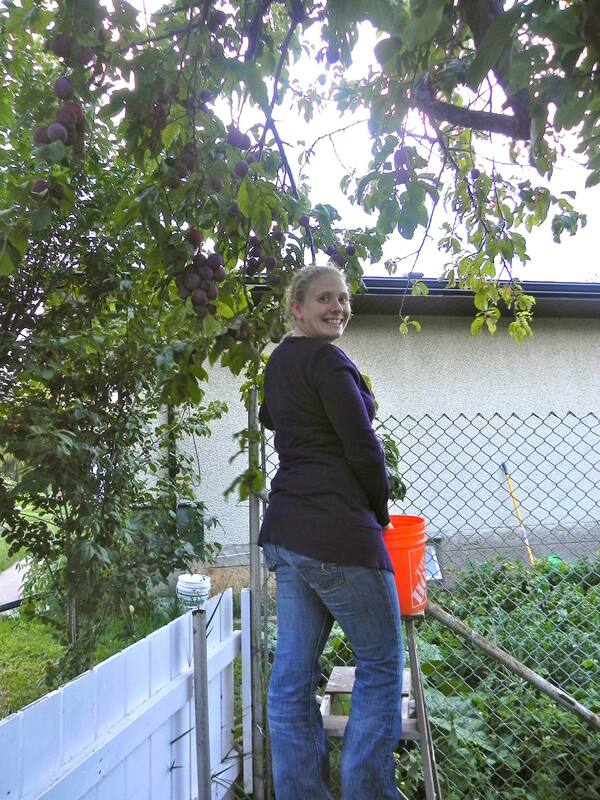 OFRE volunteer Molly is harvesting plums in a local Edmonton yard. Rumour has it Molly is an expert canner who makes amazing plum sauce! Making apple cider the old fashioned way. Hard work but so worth it! 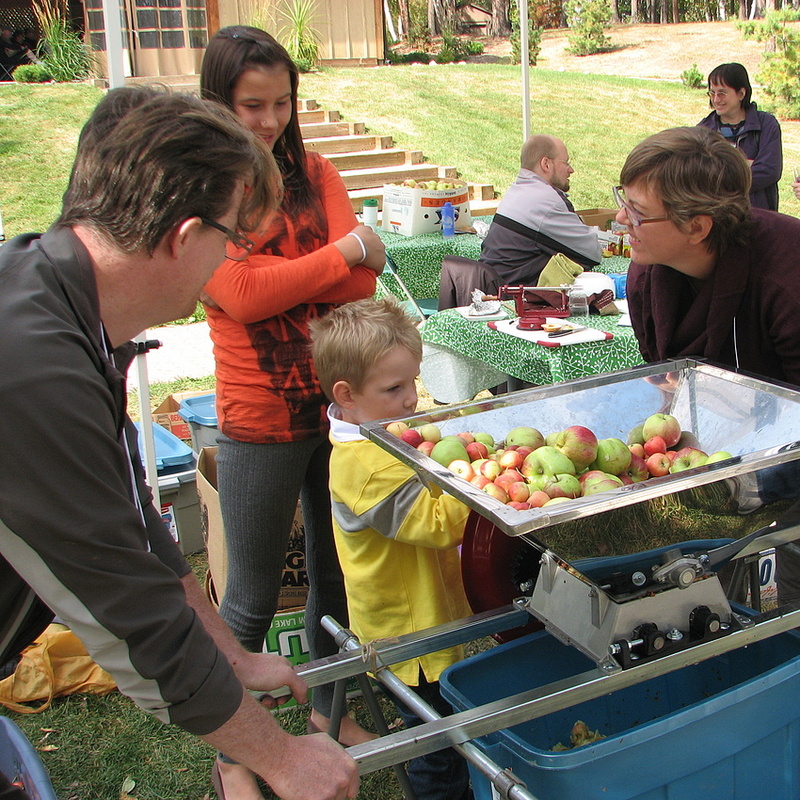 OFRE brought apples to the Devonian Garden's Fruit Growers Festival in September to show people how to make apple cider. This is one of many once vacant lots that now make up the farm. 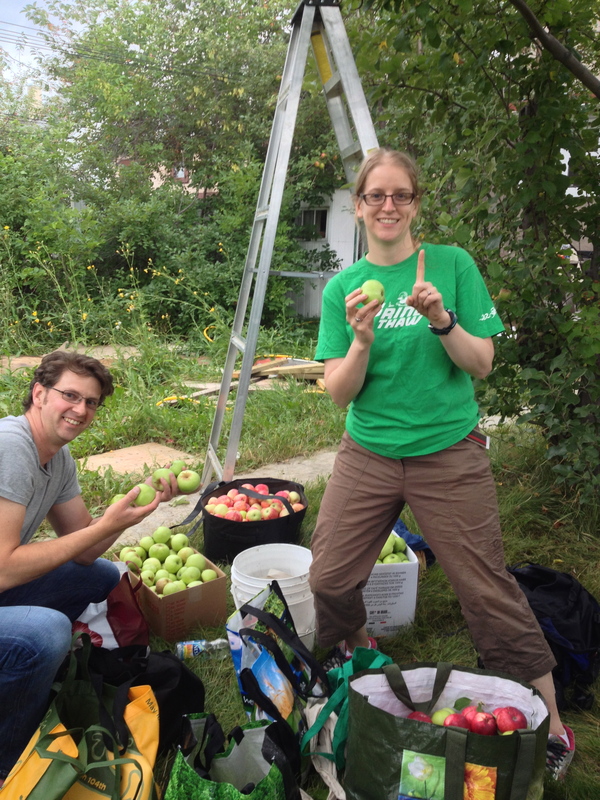 Co-owners Ryan and Cathryn help build community by working with land owners to change empty places to green and alive places. 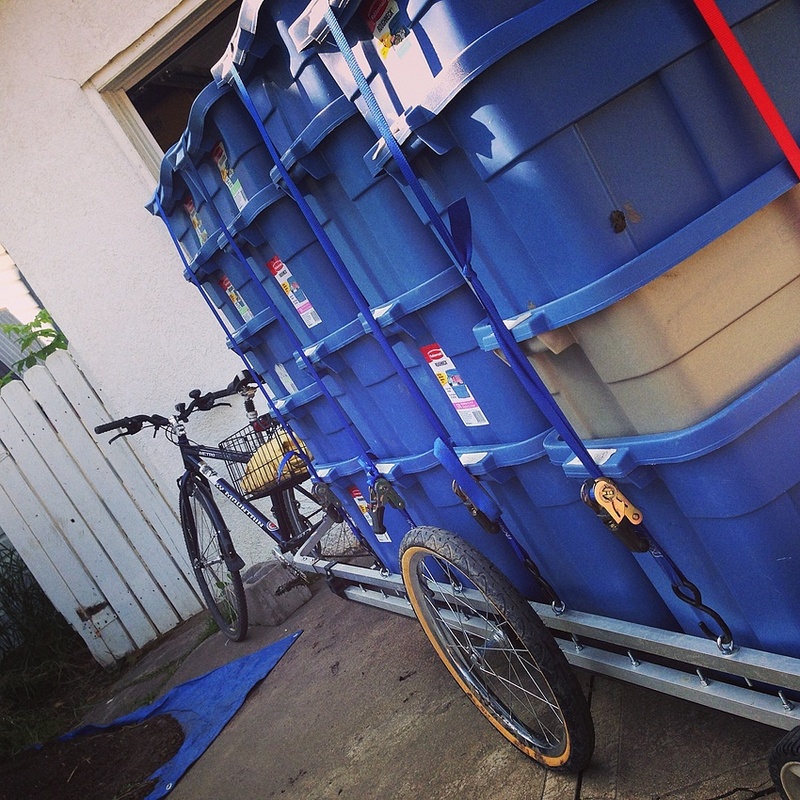 Most of the fresh produce is transported via bike trailer. It's just one of the earth friendly initiatives practiced on the farm!